The only marine food additive to include Omega 3 HUFA used extensively at commercial fish-farms to raise larger, healthier, more colorful fish. Ingredients: Selco Highly Unsaturated Fatty Acids; Marine lipids 200 mg/g. ; Vitamin C stabilized 200mg; Vitamin b12 Cyanocobalamin 240 mcg. 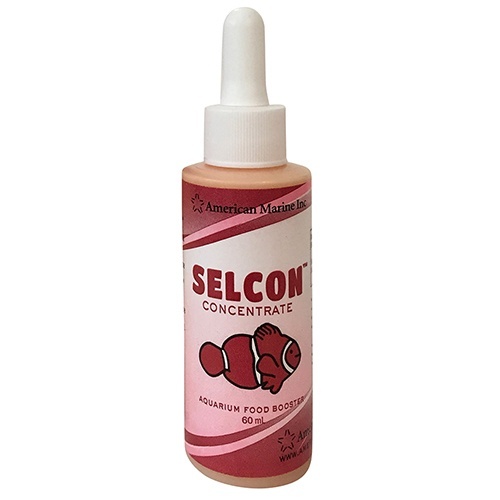 Feed 1.0 ml Selcon to portion of live brine shrimp to greatly enhance thier nutritional quality. For invertebrate aquaria, add at the rate of .5 ml Selcon per 50 gallon aquarium.